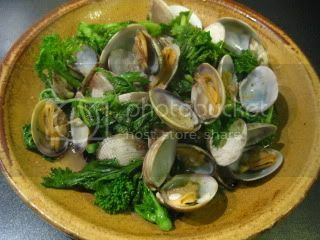 Steamed clams are always great...it's not only such a tasty dish, but also it's so simple and quick to make. 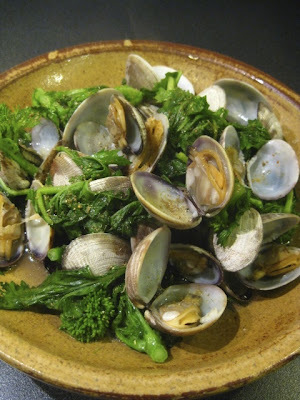 Instead of regular sake-steamed clams, lately I'm so into "Irizake"-steamed clams. Irizake is such a magical seasoning which used to be used instead of soy sauce during Edo Period in Japan, and I've been making Irizake and using it for various dishes for a while. Since Irizake is essentially a concentrated and fortified sake with salt-pickled plums ("umeboshi") and dry bonito flakes ("katsuobushi"), the dish becomes especially rich and complex when cooked with it. The process is still extremely simple. 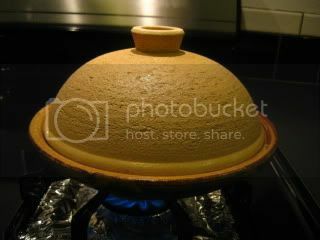 To make this, I used donabe steam-roaster, "Toshinsai". Garlic and dry red chili pepper were sautéed in olive oil, and clams were added. 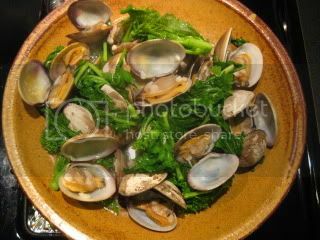 Clams were covered with chopped rapini. Irizake was added, covered, and just cooked until the clam opened. A little amount of yuzu shichimi salt were added and stirred. 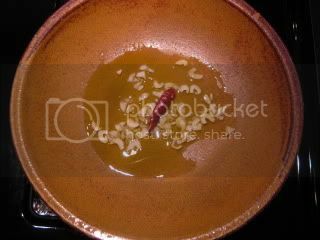 In "Tochinsai", sauté the garlic and chili pepper in olive oil over medium heat until aromatic (about 2 minutes). Add the clams. 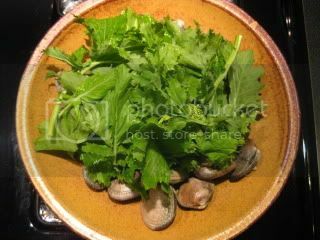 Cover the clams with the rapini. Add the irizake and cover with the lid. 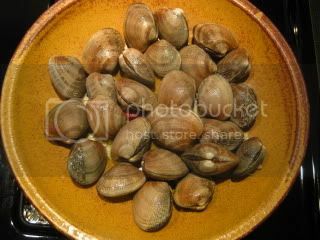 Let the ingredients steam until the clams open (about 3-4 minutes). Uncover and add a pinch of salt. Add more if necessary. Stir. Serve immediately. Squeeze some lemon if you like. What a delicious combination of all the flavors. Irizake really makes this simple dish special. I want to eat this every day.